At the outset, let me tell you that I wrote this piece on Adolf Hitler and the Holocaust upon the request of a few readers of this blog; I have used pretty simple English to explain one of the most complex episodes in world history; I hope this helps you in learning about the Holocaust. The end of the First World War (1914-18) saw the emergence of Nazism in Germany. The movement took political colour in 1919, in the aftermath of the Treaty of Versailles, which imposed several humiliating terms on the defeated German nation. The Nazi party’s official name was ‘National Socialist Workers Party’; its followers came to be called Nazis. Though the Nazi movement started small at a local level, it gained mass popularity across all sections of the German society, including among the poor and unemployed as well as the several small royal houses that dotted the German state. 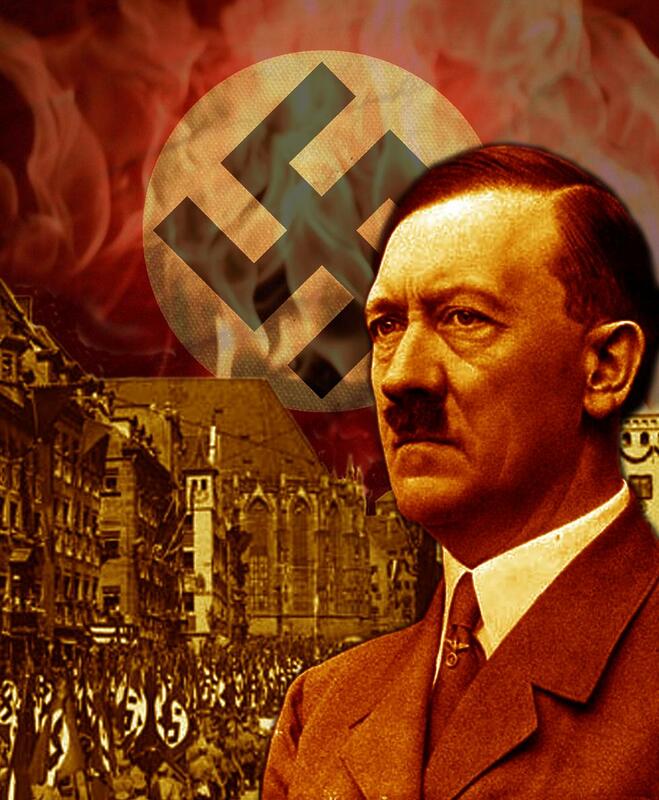 Adolf Hitler, who joined the Nazi party when it was still a marginal player in the German political space, turned into one of the greatest mass movements in history. The political philosophy of the Nazi party had some basic features: It was anti-democracy, anti-communism, anti-peace, anti-Semite, extreme form of nationalism, and pro-capitalism. Hitler believed that the Aryan race, to which he and most of the Germans belonged, was the most supreme racial group and was destined to rule over Europe. He believed that the Aryans were the most intelligent people on the planet. In this space, I will discuss the anti-Semite, i.e., anti-Jew policy of the Nazi party. 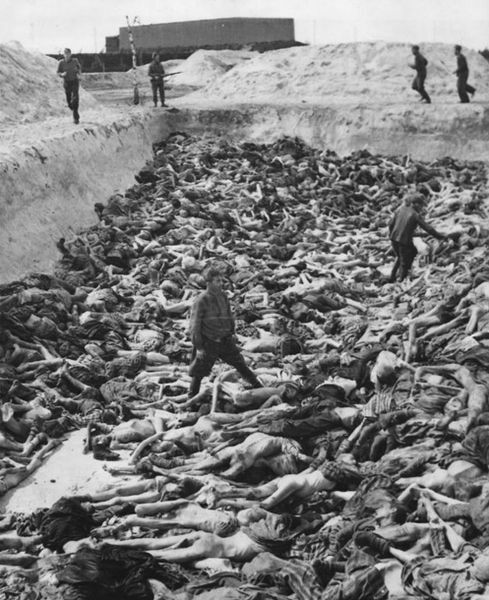 In a period of 13 years (1933-45), Adolf Hitler and his Nazis killed over six million Jews. This systematic, state-sponsored mass killing of Jews, carried out in different parts of Germany and Occupied Territories, is called the Holocaust. ‘Holocaust’ is a word of Greek origin meaning ‘sacrifice by fire’. In a larger picture, the Holocaust is an important part of the ‘Final Solution’ policy, which called for the elimination of the Jewish people. It is not just the Jews who were singled out by Hitler; other groups, deemed racially inferior to the German race, like Roma Gypsies, Slavs (Russians and Poles) and ideological rivals, like communists and socialists, were also targeted and killed in large numbers by the Nazi party. It is believed that more than 2 lakh Gypsies were killed by the Nazi party. Hitler blamed the Jews for all the ills suffered by the German nation. He accused them of being hand in glove with the country’s enemies, like France and Britain. He derided them as the scum of the earth and treated them as sub-human. Jews, who at the time made up less than one per cent of Germany’s population, had become leading members of the professional classes and the cultural space. Hitler accused them of hoarding the wealth and resources that belonged to the Germans. In 1933, Hitler became the Chancellor of Germany. As the most popular and powerful leader of the German nation, Hitler put in place his anti-Semite policy, i.e., anti-Jew policy. A Jew was defined as any person with “one Jewish grandparent”. 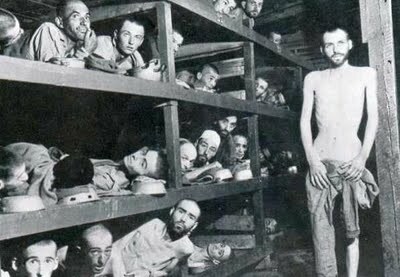 Jewish prisoners at a concentration camp. Jews were asked to move into special areas marked for their settlements, i.e., they were ghettoized. They were required, by law, to wear the yellow Star of David and were stripped of their German citizenship. They were not allowed to display German national symbols, like the national flag. They were not allowed to participate in arts, like music and dance. Jewish businesses were boycotted; Jews were forbidden from holding any government/public office. Jewish professionals, including teachers, doctors and lawyers, did not find any takers for their services. The Nazi party explicitly banned marriage between Jews and non-Jews; in fact, such marriages were denounced as “racial pollution”. In many towns and villages, Jewish tenants were evicted and forced to live outdoors. As the German State, under Nazi Party, invaded and occupied large swathes of territory across Europe, including in Poland, the discrimination against Jews became a pan-Europe phenomenon. Jews across German-occupied territories were forced to group and live in particular settlements. The most sinister part of the anti-Semite policy of the Nazi regime was the establishment of more than 300 Concentration Camps and Exterminations Camps. These camps were run by the SS (Schutzstaffel; Protection Squadrons), set up by Adolf Hitler, in 1925 (yes, long before he became the Chancellor of Germany). Jews from across Occupied Territories were taken to these camps. They were divided into two major groups: slave labour and the group to be killed. To put in blunt terms, women, children, and the aged were taken to Extermination Camps while the healthy males were turned into human slaves. Hundreds of thousands of Jewish women, children and the aged were taken by trains to these Extermination camps, which housed large warehouses. These warehouses were in fact gas chambers. They were all herded into these air-tight chambers and killed through release of poisonous gases. The Jewish men, turned into slave labour, were used to build railway and help in the German war effort in the Second World War. 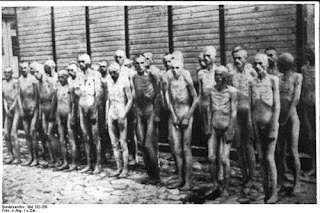 They were treated as sub-human, were fed poorly, denied medical attention, worked in appalling conditions, and lived (and killed) at the whim and fancy of the German Nazi officers. 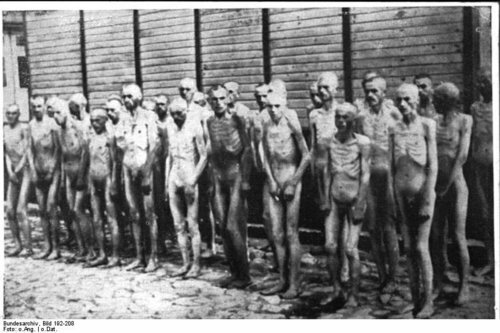 Auschwitz is the most well-known of these camps. After the suicide of Adolf Hitler and the eventual defeat of Germany in the Second World War, the Nuremberg Trials were set up, which tried tens of Nazi officials for their complicity in the Holocaust. Rudolf Hess, who was the first commandant at the Auschwitz camp, testified that up to 3 million (30 lakh) people were killed at his camp. Of these 2.5 million were gassed while the rest died from disease and starvation. He said that the camp had four gas chambers, which during the height of deportations to the camp, gassed up to 6,000 Jews each day. In all, Adolf Hitler’s anti-Semite policy led to the deaths of over six million (sixty lakh) Jews in different parts of Europe. The number of the dead is staggering, given that in 1933 (the year Hitler became the chancellor of Germany), there were just about 10 million Jews in the whole of Europe. A number of films have been made on the controversial subject of the anti-Semite policy of the Nazi Party. I would recommend: The Great Dictator (starring Charlie Chaplin), The Pianist, Inglorious Basterds, Schindler’s List, The Reader, and Life is Beautiful (my personal favourite). In case of books, A Diary of Anne Frank is probably the most popular work that captures the suffering of the Jews through the eyes of a fourteen-year old Jewish girl. The BBC has an interesting interactive feature on the happenings at the Auschwitz camp. Nice piece Mr Jain. To add to your list of movies, I would place a simple but shocking story from the view of an eight year old boy, "The boy in the striped pyjamas". nice article though not detailed one. Good article sir, can you continue this series with more details. sir could u throw more light on these world events specially world war 1 and 2. 6 million is a highly blown up figure: there is plenty of documentation already available on the net to make the point clear. 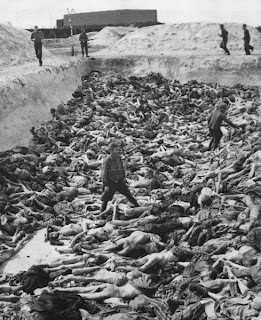 "Even if we threw away all the evidence and accounted for every so-called gas chamber, it would have taken 68 YEARS to accomplish gassing six million Jews! Even The Diary of Anne Frank is a hoax. Portions of the diary were written with a ball point pen. These pens were not in use at the time Anne Frank lived." Although it makes a pretty good theme for a melodramatic movie or a touching read; the numbers generally used when describing number of Jews killed in "the Holocaust" are staggeringly blown up. There at least must be a disclaimer somewhere saying that the numbers and/or events mentioned are not accurate. The nazi policy was pro germany and not anti-democracy. In fact it started a democracy and whatever parts of democracy were sacrificed it was with the consent of the people. And when i say people i speak of the majority.